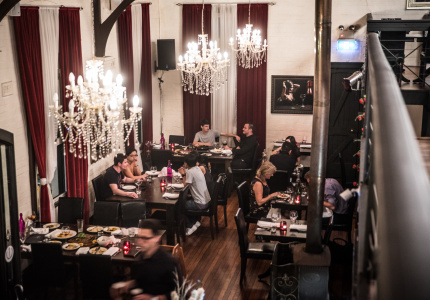 Spanish cuisine will probably never become as integral to Sydney as Thai and Italian food – there’s simply not enough Spaniards emigrating here. 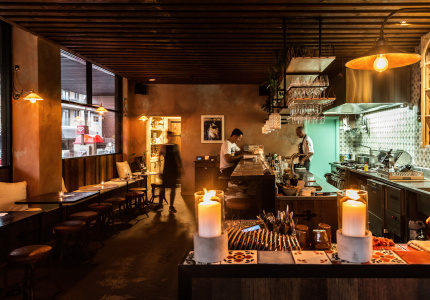 For the same reason, many Spanish restaurants in Sydney take a loose approach to the cuisine, combining techniques and ingredients from all around the Iberian peninsula and often from beyond it, too. As long as the results are delicious, we're not fussed. Our list includes a number of restaurants dedicated to serving the classics faithfully, and many others which only use Spanish ingredients as a creative springboard. This plush, heritage-listed basement makes its own cheese and butchers its own meat for charcuterie. 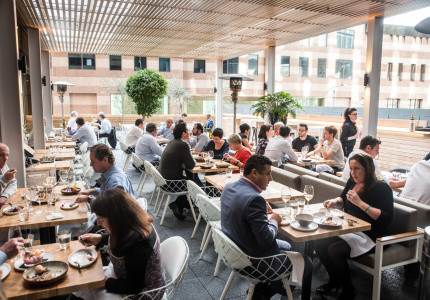 That says plenty about the kitchen's dedication to quality, but you should also know there are a rotisserie and wood-fired oven on site, cooking whole spit-roasted lambs and incredible Wagyu. 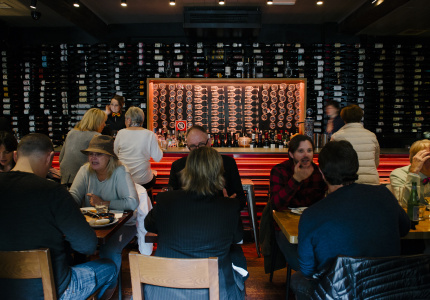 This tiny nine-seat tapas bar from Merivale is mostly faithful to what you'd find in San Sebastian. Cocktails such as Negronis can be ordered by the half-pour, and there's a range of hot and cold snacks such as poached swordfish; morcilla (blood sausage) with white beans; and seared cuttlefish with lemon, chilli and garlic. Topa is a great start to any night. 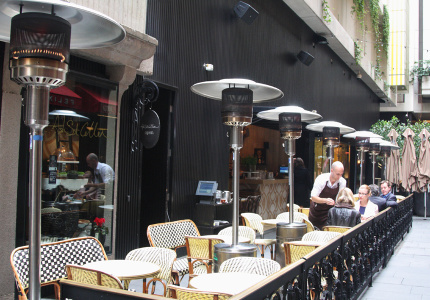 NSW food regulations prevent this bar from serving pintxos exactly the way they do in Basque country. You still choose your toothpick-spiked snacks from a display and pay by counting how many sticks you've accumulated, but the pintxos must be made to order. Which isn't the worst thing in the world, actually. On a given day you could choose from tuna tartare; tempura prawn with smoked paprika togarashi; or chickpea fritter with spicy tomato sauce. Albondigas. Patatas bravas. Churros. 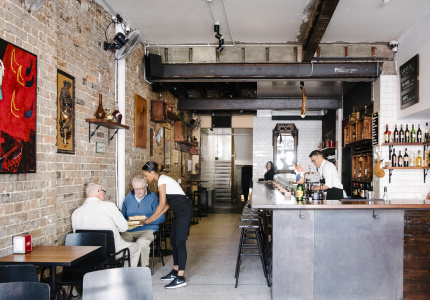 If you're looking for a reliable, familiar take on Spanish cuisine, this laneway diner is a good contender for your dollar. Case in point: the kitchen offers seven renditions of paella, including the classic Valencian with rabbit, chicken, white beans and snails. 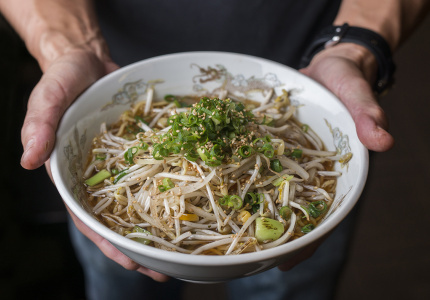 The team here freely makes use of ingredients such as maple syrup, green papaya and hummus. Spanish? Only just. Delicious? Entirely. 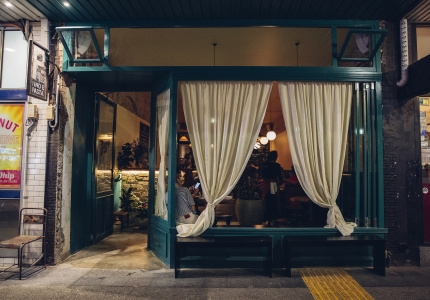 Porteño's sister restaurant makes a compelling argument for foregoing tradition. 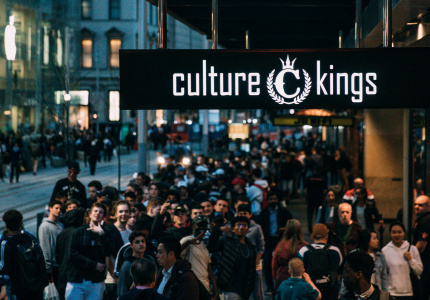 At Tramsheds, a less intimate version of Bodega offers a completely different menu yet the same kind of thrills. 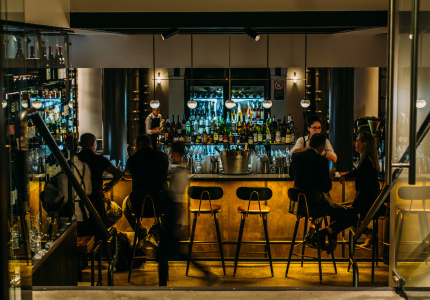 Take a seat on a turquoise, padded bar stool for fried sheeps milk cheese with confit black olives; malbec-braised octopus; and grilled black sausage. 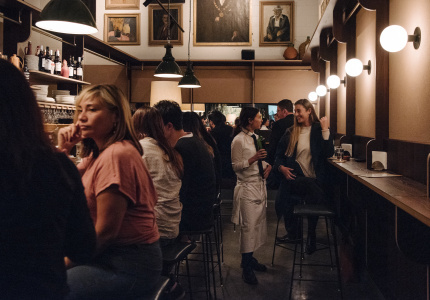 This lively bar is one of the best places in Sydney to drink sherry – there are more than 80 in stock. 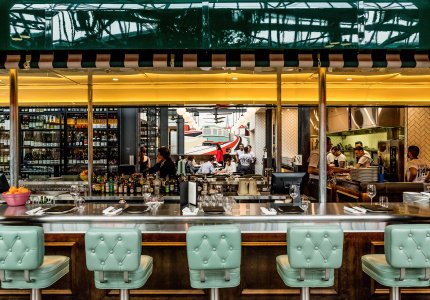 Between sips, there's a huge range of tapas, charcuterie and substantial mains such as braised beef cheek. And this, Tapavino's sister restaurant, is undoubtedly the best place in town to explore Spanish wine. The cellar list runs into the thousands, much of it on display in floor-to-ceiling cages. It's a memorable backdrop for enjoying the restaurant's similarly sprawling food menu, which initially looks classic but includes clever touches such as sherry jelly and local sea succulents. 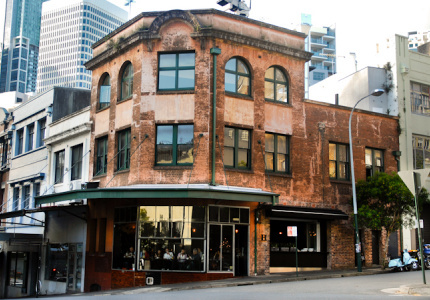 Spaniard Manuel Terron always found Australian Spanish restaurants too far from the real thing – hence opening Bar Tapa in 2018. 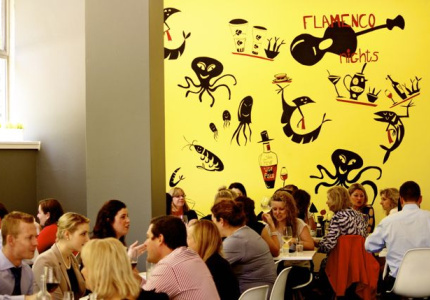 The menu mixes Terron family recipes and Spanish classics. From Terron’s mum come croquetas and migas (a fried toss of bread crumbs, pancetta and black pudding topped with a fried egg). Valencian-style paella and patatas bravas are inspired by Terron’s travels in Spain. Much like Alegrias, this is an excellent place to get your fix of staples such as manchengo and chorizo croquettes; patatas bravas and paella. Bonus: if you like it enough, the team will send its food truck out to cater your next party. 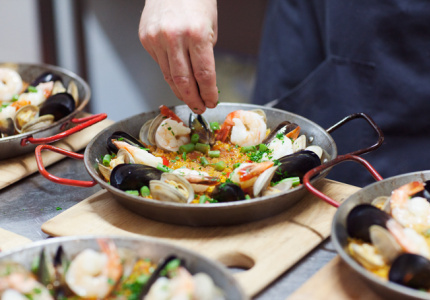 With 40-plus venues and counting, of course Merivale has a Spanish restaurant in the family. Well, Spanish-Italian. The menu here mixes flavours from across the Mediterranean, but maintains a refined edge. 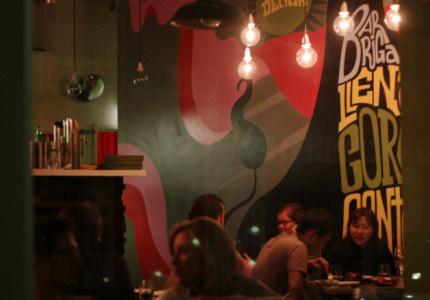 They say the first bite is with the eye, and this loosely Spanish tapas bar has certainly taken that saying to heart. Its pretty platters of sliced, fanned meat are a reliable start to a meal of any size.